Ok I should have removed the panniers, or at least emptied them. I still had a spare open face helmet in one pannier and my lunch in the other. 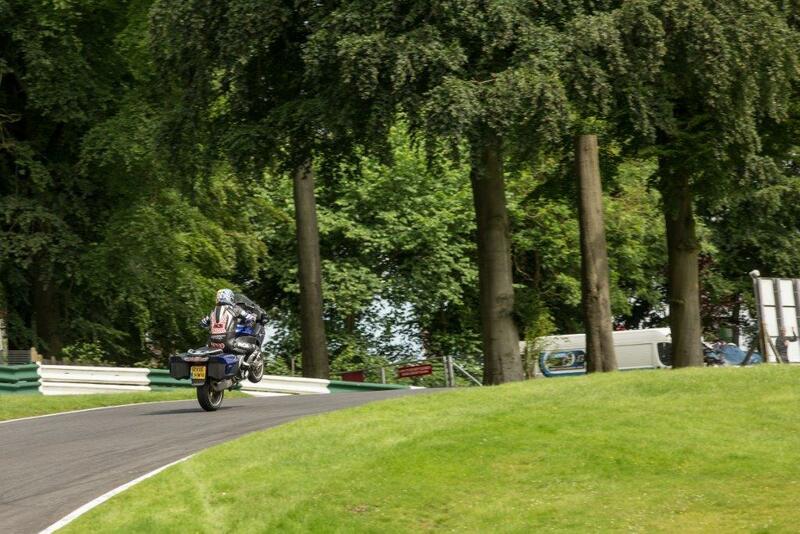 And yes playing Radio 1 whilst pulling wheelies over Cadwell Park’s mountain was immature, but everyone seemed to see the funny side of taking my heavy RT on track. 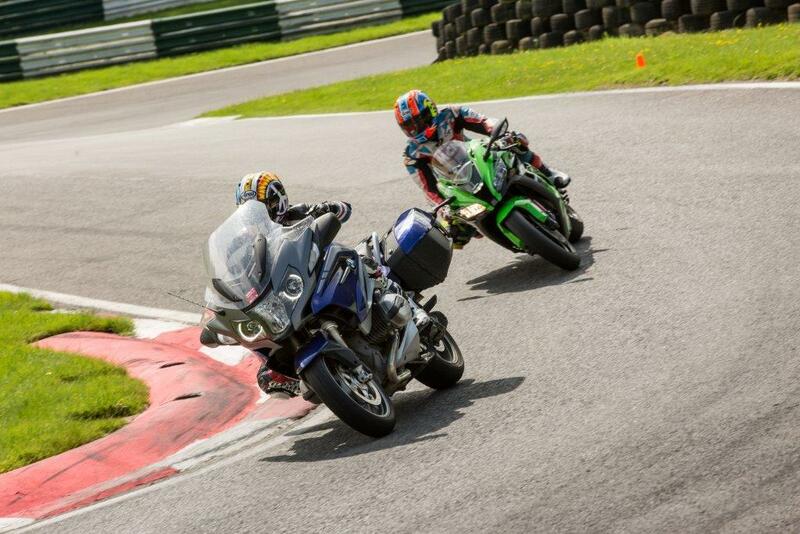 We didn’t change a thing, didn’t even lower the tyre pressures, just rode down pit-lane and had some fun. Obviously she was on the heavy side, but for a big girl she can still dance to the music. The Brembo stoppers were really impressive considering the amount of weight they were dealing with, virtually no fade even towards the end of the 20 minute track session. The standard Metzler rubber took the challenge, only slightly over-heating towards the end of the session. Ok she was heavy and under-powered, especially in the fast group, but considering her size she did surprisingly well. After a 20 minute track session I was about done, but at least I had a comfortable ride home to look forward to.